Donna's month was January and she requested a Jacob's Ladder block with lavender and Kona snow. Lavender is in short supply in my stash, but I had one fat quarter I won from her in a giveaway last year, so I had the perfect fabric waiting for her. =) Now to get it in the mail! 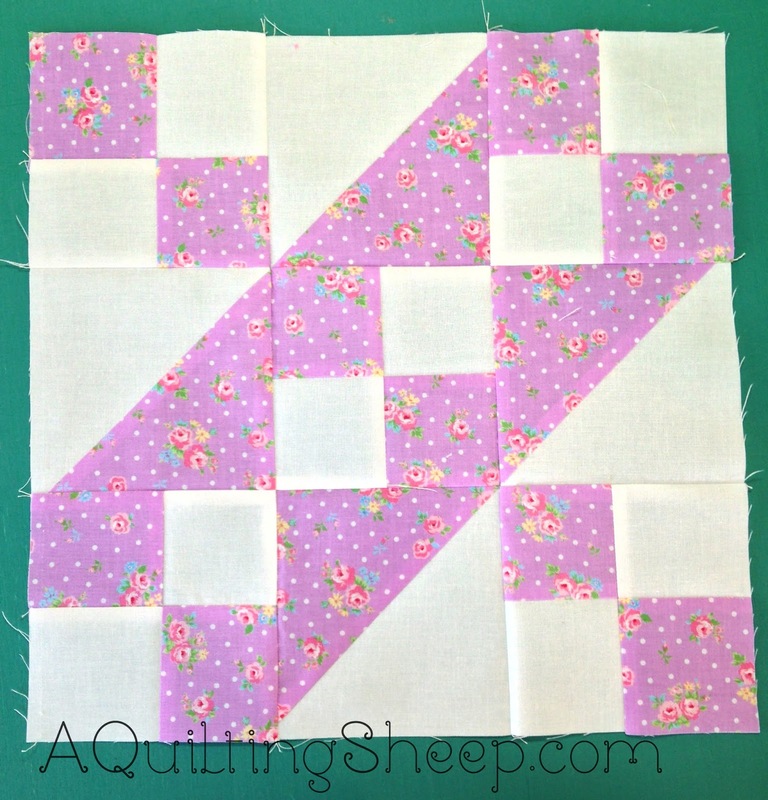 February's block is for Clara @ Clover and Violet. Clara and her daughter, Jennie are a mother and daughter team who design bags. They have some really cute patterns! Make sure you check them out! 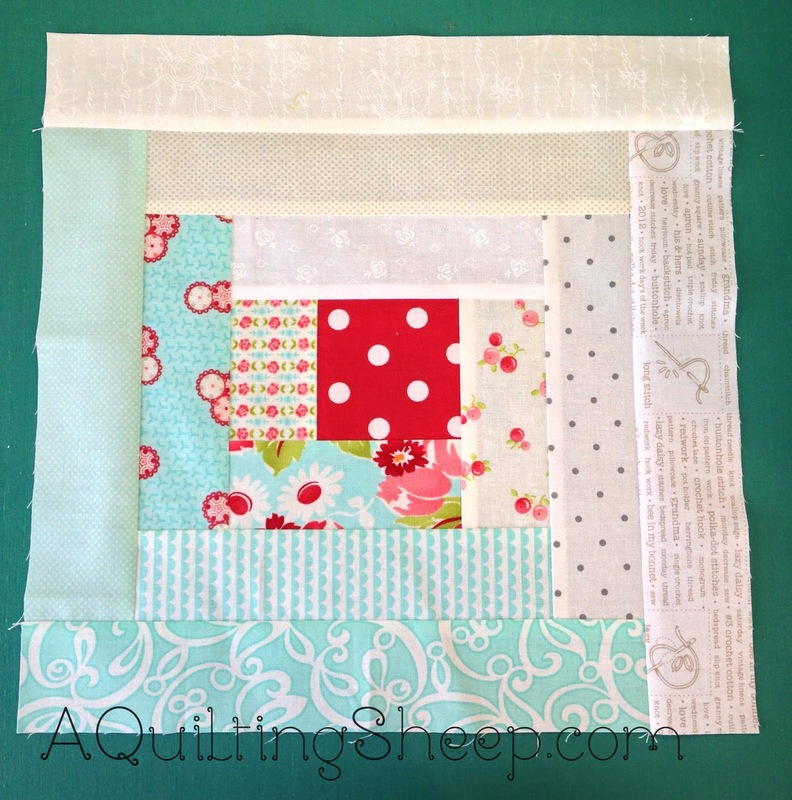 Clara requested a log cabin block with low volume fabric along with red and aqua. Now I have a lot of those fabrics on my stash, so this one was hard in that I had a lot to choose from! Love my block Amy, thank you!! p.s. we made the same block for Donna, sweet!! You weren't sure what to request for your month - check out this quilt idea: http://carla-graceandfavour.blogspot.ca/2014/02/fly-away-home.html It looks like it may be dark/light colours or colours opposite each other on the colour wheel. Lots of options!